The Gutenberg content editor in WordPress makes it easy to publish a wide range of content. You can write headings and paragraphs with the ability to adjust font size, make text italic or bold, add links and so on. Other content blocks include images, videos, quotes, tables and more. Here’s a look. 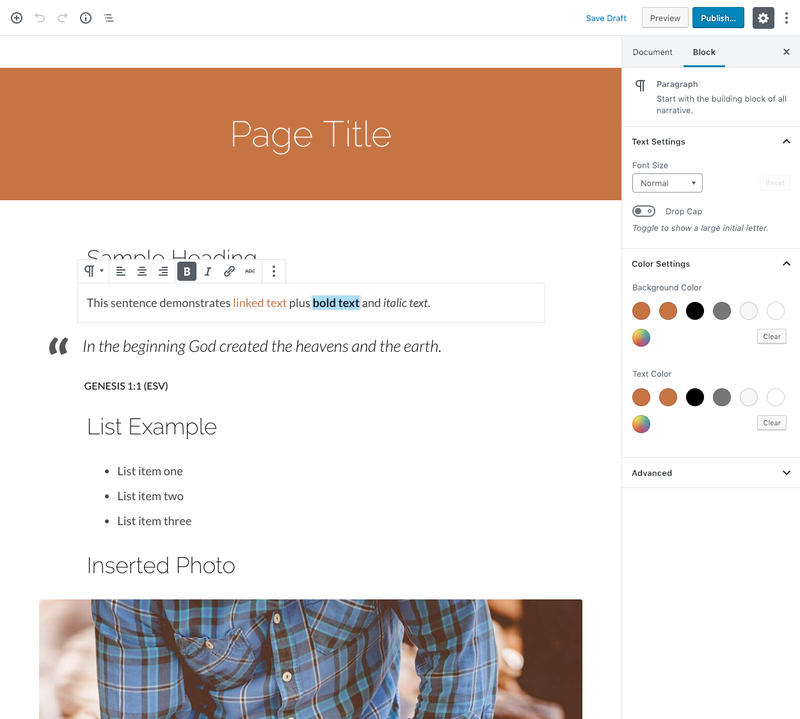 See Block Styling for a demonstration of how the theme displays various content created in the editor. You can optionally upload a header image for a page to show instead of the default. This theme is carefully designed to show only a certain number of characters per line. This increases the user’s reading comfort. You may notice popular publications have a narrow content area for the same reason. Things like large images, videos and blockquotes can extend beyond the normal width to create a dramatic effect (example).